We’re getting closer to the annual Google(s goog) I/O developer event later this month where the company will debut its first Android Wear devices. LG was Google’s initial hardware partner for the project. So it only makes sense that it will get to share the stage with its G Watch. 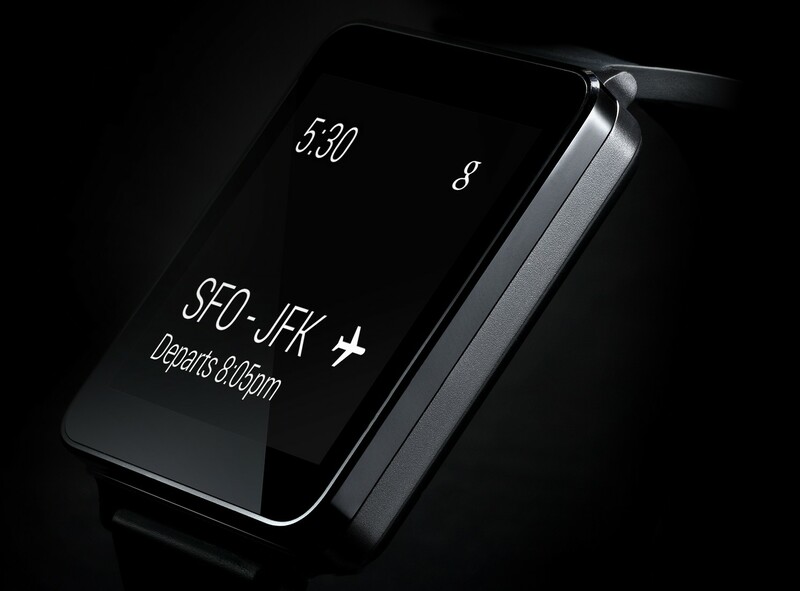 It’s even rumored that every Google I/O attendee will get a G Watch to take home. But what will be inside the G Watch? If a leaked spec sheet is accurate, we may already know. A Qualcomm(s com) processor is expected to power the smart watch which will also have 4 Gigabits of ROM, which works out to around 512 MB for Android. Users will get an additional 4 GB of storage for apps and data. The 1.66-inch screen is expected to have a 280 x 280 resolution screen. Bluetooth 4.0 Low Energy will surely be used to connect wireless to an Android phone. Battery life is expected to be 36 hours for the touchscreen device which will also have a tilt sensor and pedometer according to the leaked information. Another device was leaked and rumored for weeks but now its the real deal: At a New York City launch event on Thursday, Samsung introduced a pair of new Galaxy Tab S slates. These retail for $399 and $499 in two sizes: 8.4- and 10.5-inches. Both are similar to the last Galaxy tablets Samsung launched earlier this year: fast processors, plenty of storage and high-resolution 2560 x 1600 screens. There’s a key difference in the displays though. These are Samsung Super AMOLED displays for vivid color and brightness. Samsung hopes the screens will set its new tablets apart from the crowd, of course. I have the first Super AMOLED tablet from the company — a Galaxy Tab 7.7 from 2012 — and can vouch for the technology. It does have a nice color vibrancy although colors can be oversaturated to some eyes. 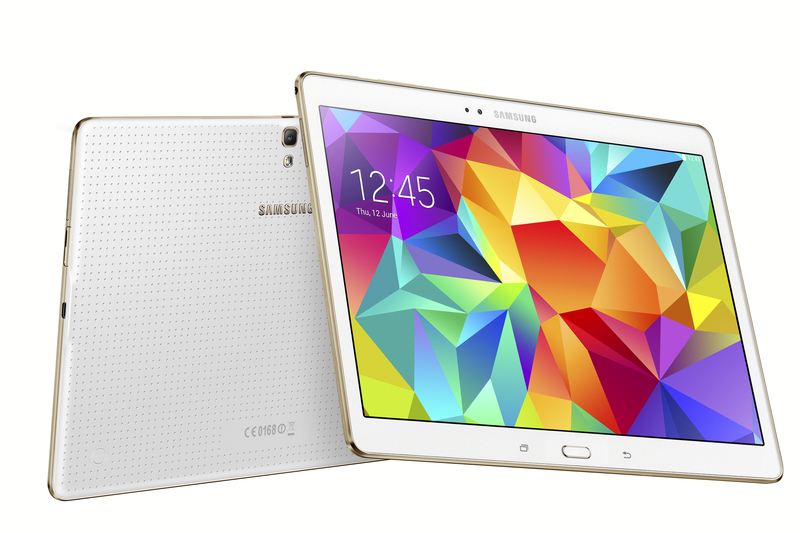 We’ll have to see if the Galaxy Tab S screens impress buyers. While we wait for that, you don’t have to wait for a decent Android phone from Huawei. No, a U.S. carrier didn’t announced a new Huawei phone, but Huawei did. 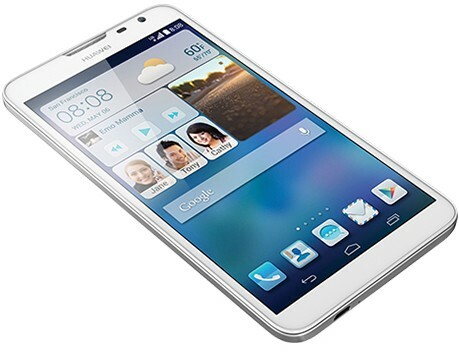 The company is selling its Ascend Mate2 directly to consumers through a new online storefront for $299 off-contract. The LTE device is large at 6.1-inches and only has a 720p screen. But the internals are pretty solid for the price: A 1.6 GHz Snapdragon 400 with 2 GB of RAM and 16 GB of storage. The 13 megapixel rear camera can record 1080p video while a 5 megapixel camera is front-facing for video chats. It’s not likely that Huawei will find a big following in the U.S. but without selling directly, it probably wouldn’t have one at all. I’ll be curious what phone the company adds to its new online store next.